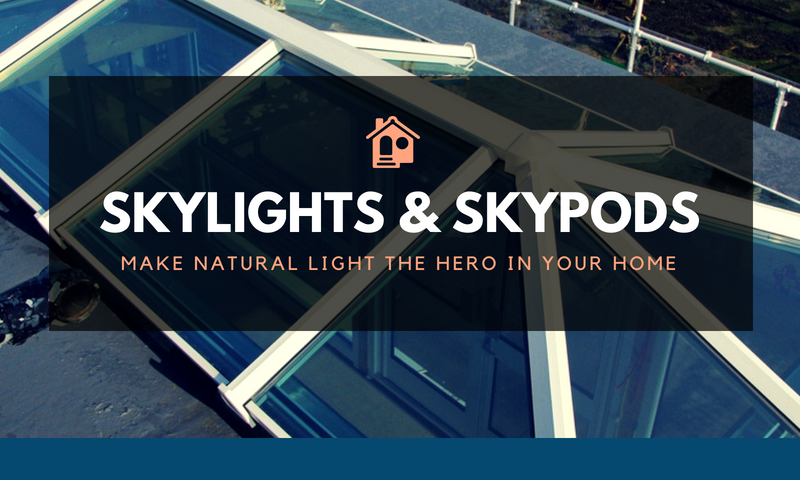 The skylights come in multiple colors to match your architectural choices and preferences. The colors can be seen and felt from the inside and outside. They include glazing options of Ambi blue, sunshade blue, aqua, ultra, neutral, bronze, satin privacy and clear. The shades do not affect the clear appearance of the skylights. You have an option of UV rating of 1.2 or 1.0, both of which will protect your interior from harmful UV rays. Dark rooms can appear small to the point of being ignored. This leads to wastage of space and high rental cost. With the skypod roofing, you receive a flood of light into the room, adding both height and space into the room. People no longer feel confined while working in the room. This creates an element of enlightened thinking and positivity. The roofs come in simple yet elegant designs that make your roofing unique. You have the option of two bar frames or three bars. The choice will depend on the size of the area to be sealed. This allows you to maintain the sleek design of your room without the intruding frames. The Skypod Skylights can be installed on opening of different sizes and still deliver the natural-light magic. Most products offering natural lighting sacrifice energy efficiency. This leaves houses extremely cold during winter and hot during summer. It becomes impossible to control internal conditions in a house, raising your utility bills to ridiculous amounts. Skylights by Premier Roof Solutions are manufactured using the most advanced technology. This allows light to pass through without interfering with heat or cold. You can therefore heat your indoors during winter without worrying about losing the heat through the skylights. Summer heat will also not penetrate through the skylights. This gives you full control over interior conditions. Heat protection and energy efficient properties remain throughout the life of the skylights. The natural appearance of the roof is maintained by being pitched. You have the option of 20 degrees angle and 35 degrees. This can be applied on a two bar skypod or a three bar skypod. These dynamic options allow you to customize the appearance of your house. The angle will fit different lengths or sizes of skypods. Premier Roof Systems is the leading manufacturer of Skypod Skylights in the market. With a new factory and the latest technology, you are assured of high quality products at different price ranges. We provide a guarantee of 10 years or more on all our products. This is an assurance that you will get the best quality to serve you for years. Contact us today for the best skylights and other roofing products at affordable prices.